Justin Mark takes in the alternate entrance off the rock bluff in Burns Lake. With plenty of trails and some unique and hefty rock features, there’s good reason for Burns Lake’s change in economic focus. The pig is starting to burst from its own juices. Rotating over a bed of hot coals, it spins slowly on a homemade spit powered by an electric drill and a generator—downhome ingenuity for a down-home meal. We’re in Burns Lake, BC, 630 miles north of Vancouver, where we’re celebrating the ninth anniversary of the Burns Lake Mountain Biking Association (BLMBA). In the spirit of the nearby riding zone of Boer Mountain, the namesake of which is locally considered to mean “boar,” the bike club is hosting this big, greasy feed. For our group of 10, the glowing pig represents our last night of a whirlwind trip through Northern British Columbia. But for the 2,000 people who live in Burns Lake, this is about more than mountain biking. In 2012, the Babine Forest Products sawmill, the town’s main economic engine, exploded when sawdust particulate in the air ignited. Two men lost their lives and 19 others were injured. Since then, the community has been trying to reinvent itself. 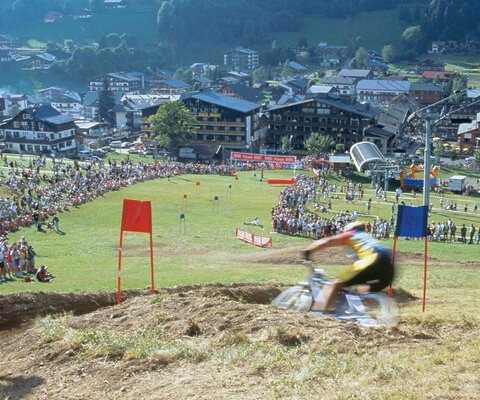 Mountain biking—and recreation in general—has been their method. During the last two years, BLMBA has secured close to $1.5 million in grants and put it directly into trails reputed to be unreal, with Boer Mountain being the crown jewel. But these developments aren’t just happening in Burns Lake; an entire ecosystem of northern communities is now staking a claim in the sport, quietly joining the ranks of the best riding in the province. Since the end of the gold rush, Northern BC has been subject to the economic booms and busts of logging and mining—which, in recent years, have mostly been bust. In 2013, the Tourism Industry Association BC reported $13.9 billion in revenues. Compare that to the $15.7 billion for forestry and the $1.39 billion for mining, and recreational amenities like trails start to look like promising alternatives—and possible incentives to prompt the next big migration north. Toward the bottom of every lap on Burns Lake’s Boer Mountain, the sweet smell of pork filled the air, a mouth-watering tease of the feast to come. The contraption might look fancy, but the drill-powered spit is about as DIY as it gets. At the moment, however, the bikers of Burns Lake aren’t concerned with revenue figures or industry incentives. The pig turning via power drill is taking center stage, a delicious symbol of the potential salvation of a small BC community. The 10-person posse surrounding the roasting pork came together a week ago, thanks to an initiative called the Northern BC Mountain Bike Recreation and Tourism Strategy. It’s a plan being showcased by Martin Littlejohn of the Western Canada Mountain Bike Tourism Association and Patrick Lucas, a community planner who works on land management with First Nations. It turns out that establishing historical use of trails is huge in treaty negotiations. Besides Littlejohn and Lucas, we’re joined by Darren “DB” Butler and wife Kelli Sherbinin, who run a guiding and bike instruction biz out of North Vancouver called Endless Biking. 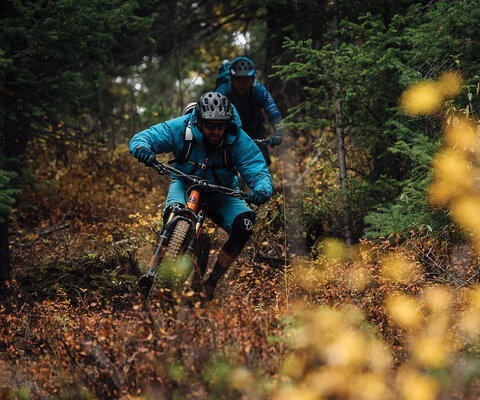 Hailing from Salmon Arm, BC and Vancouver Island, respectively, Chris “Strommy” Stromgren and Justin “Jmar” Mark both teach high school, but the latter’s an XC racer and Strommy runs extracurricular mountain bike programs for students at his school. Brandon Watts, videographer Chris Grundberg, photographer John Wellburn and myself are here to document the journey. Littlejohn and Lucas’s strategy calls for northern communities to band together and promote the entire region as a destination. We’re here to see what they’re promoting. The north has a reputation for bad weather, horrible bugs and backwoods people, and so when this journey started our expectations were mixed. But seven days and five stops later, our eyes have been opened—both to the incredible riding and a truly fresh, truly Northern BC culture spanning the width of the province. Left: Martin Littlejohn is the executive director of the Western Canada Mountain Bike Trail Association, a title we soon realized was synonymous with “always ripping.” Martin keeps it tight on a hairpin corner outside of Burns Lake. Right: Stuart Lake looms below Mt. Pope in Fort St. James, perfectly located for a post-ride cooldown—a good thing for Martina Jones, as temperatures hovered around 90 degrees Fahrenheit. 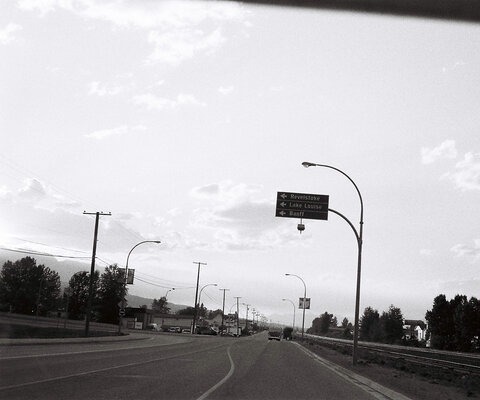 The trip commenced in the parking lot of a riding zone called Pidherny, in Prince George. This is a pedal-accessed network of trails five minutes outside the “Northern Capital” of British Columbia, a city of 71,273 people—the largest in the area, and the seat of the forestry industry. Locals Josh Staub and Shannon Maldown have offered to show us around, and we brave the 98-degree Fahrenheit day to experience what Pidherny has to offer. It’s six weeks into one of the biggest droughts British Columbia has seen in years, and we’re about to single-handedly water this forest with sweat! Most everything in this zone—part of the Interior Plateau—is low-angle, perfect for high-speed ripping. Watts and DB show their air prowess on the abundance of friendly jumps, and Sherbinin’s downhill skills shine on the tech sections. Back in the parking lot we cool off with tall cans of local pilsner as Staub tells us how in the last five or six years the Prince George Cycling Club has gone from 35 to 250 members. At one point, Pidherny was slated to become a golf course. Most of the resource extraction in British Columbia happens in the north, and despite sometimes-tenuous export markets, Prince George’s administrative role has kept the city one of the fastest growing regions in Canada. A 38-year-old nurse, Staub is part of exactly the kind of demographic Littlejohn and Lucas’s plan seeks to enlist. Where once Prince George was a staunch logging town, it’s starting to show some metropolitan flair, as evidenced by Staub’s surprisingly hip urban haircut, still intact from his helmet. Stuart Lake, outside of Fort St. James, is infamous for constant winds and chilly temperatures. We arrived at our beachside site early in the afternoon, where we were able to soak up rays without a breath of wind—the best camping spot of the trip. Dusty from the heat, we arrive at Stuart Lake campground in Fort St. James as the sun sets over the glassy, 56-mile-long body of water. While Lucas and Littlejohn make an extravagant meal of butter chicken, we wash off our shammies and bodies with a swim before heading to bed in the open air. Somehow, the infamous bugs never make an appearance. The next day’s temperatures are half of what we experienced in Prince George, a welcome respite from the heat. We’re headed to Mt. Pope—with a rise of 2,500 feet, the dominant rock in the area—to meet with local foresters and mountain bikers Eric Ravnaas and Jeff Jones. The trees on Pope are a bit tight for wide bars, but the trails are buff and friendly. The highlight is an old set of dirt jumps, and DB convinces us to train the line in a hilarious 12-person caterpillar. There’s no cycling association in Fort St. James, so local advocates negotiate with BC Parks directly to maintain trails. With a population of 1,691, and an hour’s detour from the drive from Prince George to the coast, the tiny town is somewhat out of the way. But the sheer beauty of the place underlies its enormous potential, and folks like Ravnaas and Jones are OK with the anonymity. 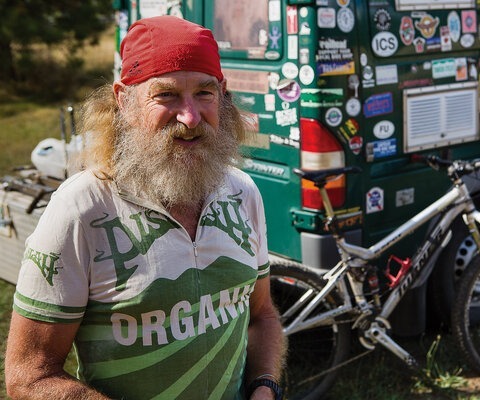 “There are only maybe a dozen folks out riding even on weekends,” Ravnaas says through his white lumberjack’s beard. 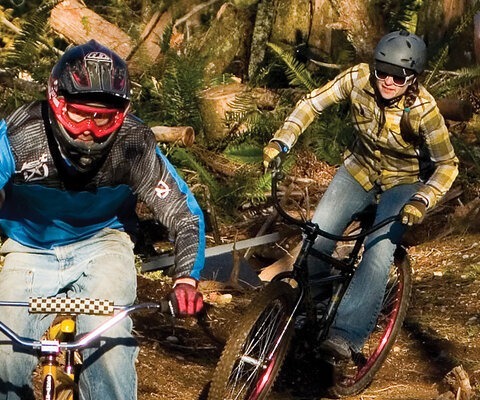 In Fort St. James, loggers can handle mountain bikes as well as they can chainsaws. e mouth of the Skeena River, which leads to the Pacific Ocean. It’s finally raining a bit as we settle into the Ferry Island campground. Wildfires continue to the south, but we’re in a world all our own. 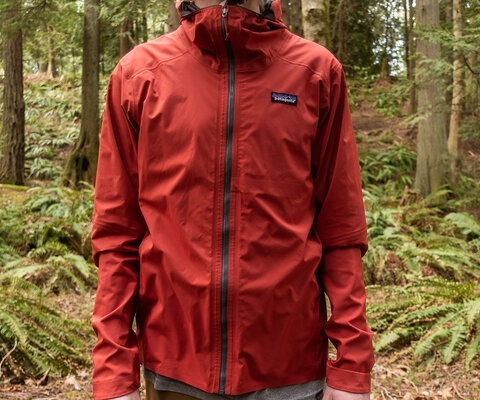 We’re stoked on the rain—it’ll rejuvenate the parched trails and its white noise ushers us to sleep in our tents. Kelly Sherbinin cuts through the greenery in Terrace, BC. 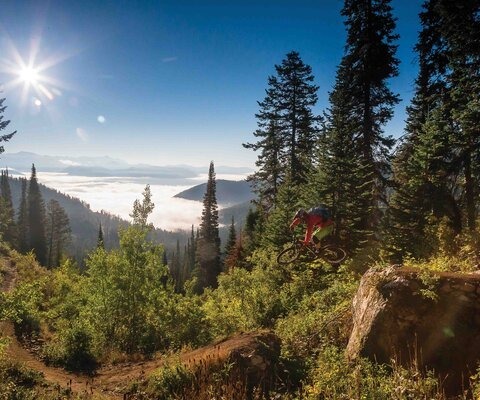 The small town has seen an influx of tourists since it started promoting the outdoor industry, and for good reason: With both pedal-accessed trails right outside of town and shuttle-access trails on nearby Copper Mountain, the area has serious appeal to bikers. The town of 11,500 people is warm, friendly and attractive, and so it makes sense that tourism is already booming in Terrace. The airport is setting new records every month, with visitors coming to check out the dockside fisheries, quaint streets, and trails at Terrace Mountain, just outside of town. They are what have drawn our 20-wheel parade. We meet up with recent transplant Tyler Wilkes at the parking lot. The 27-year-old geologic engineer is also a director of the local bike club, TORCA, and proves his Northern BC mettle by leading us up the impeccable climbing trail, outfitted with flat pedals and Carhartts. The forest feels like Squamish, and the trails glow with the gold of new dirt. Myself, Strommy and Jmar break from the crew to take the traverse line to Steinhoe Ridge, where every climb yields a joyous descent. Jmar moves like a snake through the temperate rainforest, gapping corners and making a plaything of every nuanced roll. Indeed, Terrace is historically a bit different than other northern towns; a bit more like Alaska, it got in on tourism years earlier than its compatriots. Terrace is large enough to support a mix of local industries, which translates to permanent, professional jobs, and has a reliable airport. The local ski hill, Shames, is known to the larger action sports world. 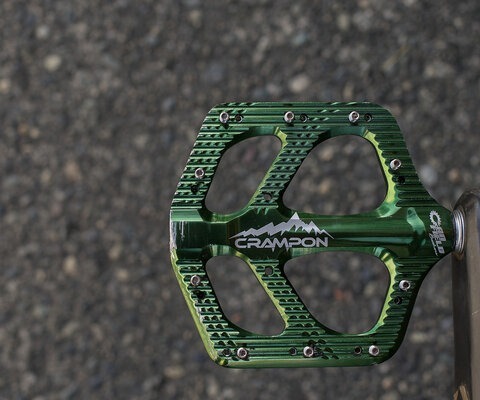 The biking isn’t—yet. After lunch, we shuttle Copper Mountain, with its steeper North Shore-style trails and loam. Considering the town’s potential for young professionals, I ask Wilkes if TORCA has goals beyond just servicing local riders. The first obstacle on our journey into the alpine outside of Smithers, BC was a decent-sized water crossing. Apparently we were lucky—our trip coincided with severe drought, and the river was only a treacherous knee deep. Smithers lies at the opening of the Bulkley Valley, on the edge of the Babine Mountains and the Interior Plateau. It’s fantastically pastoral, and the area’s vibrant green terrain pops against the pockets of snow still clinging to the highest peaks. Horses are everywhere, adding to the rural feel. Built in Bavarian style, Smithers is a 5,400-person government town—most of the government offices for the Regional District of Bulkley-Nechako are based here. It’s fitting, then, that our local hookup is Ben Heemskerk, of Recreation Sites and Trails BC. He generously drives us from Driftwood Creek in Babine Mountains Provincial Park to our first trail: the 16.5-mile route from Cronin Pass to Highland Mountain. Dave Percy, owner of C.O.B. Bike Shop, and Matthew Killback join us, and we’re soon climbing an old road from the Silverking and Cronin mines. The last shipment of ore from the mines was shipped in 1939, yet the road lives on as another decommissioned legacy of the area’s boom-and-bust history. At an altitude of more than 5,500 feet, Cronin Pass can call in inclement conditions even in the depths of summer. Cloudy or not, the views from the top are world-class. The team waits out some weather before the long descent. As we reach the alpine vistas on Cronin Pass, the weather changes to sleet and we’ve got more than 5,000 feet to descend. Percy leads down the steep switchbacks until we see smoke. Someone has a fire going in the Joe L’Orsa cabin, an open backcountry shelter operated by the provincial park. A family on horseback welcomes us to the majestic refuge. The place is timber framed, two stories high and has three bedrooms with bunks. None of us can believe it’s free to stay here. After everybody’s warm again, we blast the old road all the way back to Driftwood Creek and finish with a high-speed puddle fight, giggling like we just stole a rainbow. For dinner we’re treated to a feast at the Alpenhorn Bistro by the mayor of Smithers himself—Taylor Bachrach. He’s a huge advocate of cycling and is nicknamed Mayor Bike Rack for installing them all over town. In the aftermath of the drinks, we’re happy for our hotel rooms. The next day brings more laps in the Bluff recreation area with Killback and local Kirk Normand. 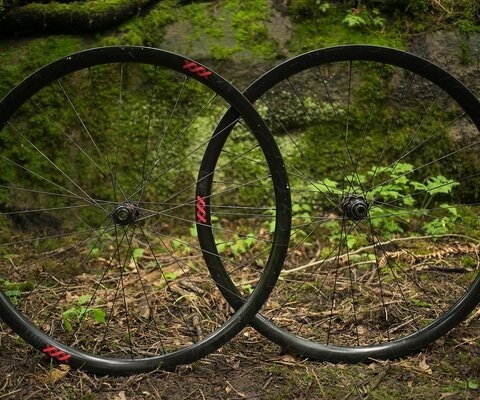 These trails are new, flowy and fast. Hudson Bay Mountain, Smithers’ ski hill, offers up the techy Piper Cross and Piper Down—the latter named for a plane that crashed in the ’60s and now has a gap built over it. The Joe L’Orsa cabin near Cronin Pass feels more like a mansion than a backcountry hut. Its huge log walls would fit perfectly in a high-class ski chalet, which makes the fact that it’s free to all travelers and maintained by BC Parks even more incredible. It’s further proof of Smithers’ commitment to its outdoor identity. By overwhelming consensus, the gem of Smithers is Backdoor, a 5,000-foot descent accessed by a short climb up the ski hill itself. It goes from high-speed rocky downhill into a cascading waterfall of skinnies, then turns to smooth packed dirt with arcing corners, before finishing in a loamy forest right back in town. In that light, Smithers has a “Sprockids” mountain bike program for youth that’s attended by 60 young riders. So the next generation now plays a critical role, one that has helped overcome opposition from groups resistant to the bike community. Our first stop in Burns Lake is at the house of Pat and Patti Dube, the town’s most avid cycling ambassadors. When we arrive, the Dubes immediately hand us burgers made from a neighbor’s cow, and afterward they offer wild huckleberry crumble for desert. About a dozen locals are hanging out, keen to meet us and hear how the north has been. Then they’re keen to get us onto their trails. Kelly Sherbinin loving every inch of the single track off Cronin Pass. The landscape and riding is otherworldly, with plenty of fresh oxygen—no space suits needed. When the BLMBA expanded Boer Mountain two years ago, they didn’t mess around. They went straight to Gravity Logic, the company that builds and maintains Whistler’s bike park. With free camping right on nearby Kager Lake, Boer has become a benchmark for this kind recreational area. There’s only about 1,000 feet of vertical rise on Boer, but none of it is wasted and the trails flow like water. Our ragtag posse is absolutely smitten with Shawn’s Flow, Water Lew, Fire Crew and Swoopy Hollow. But Charlotte’s Web, like a winding high-speed rail line, has everybody beaming most. “This is Whistler without crowds,” Patti says proudly. Indeed, if all goes well, this town could become a case study in what happens when a community invests heavily in mountain biking. True to modern standards, you could roll industrial amounts of riders through here and the trails would hold up. But the club does employ one full-time local to keep them up for good measure. They’re serious about this. The forest in Burns Lake is one of the most beautiful I’ve ever seen in BC, but what makes it even more unique are the miles of perfect machine-built berms and features. Constructed by Gravity Logic, the company responsible for Whistler Bike Park, they ride like A-Line, minus the crowds and with a hometown vibe. Now eight days deep, Littlejohn is happy to see our crew’s paradigm has clearly shifted. 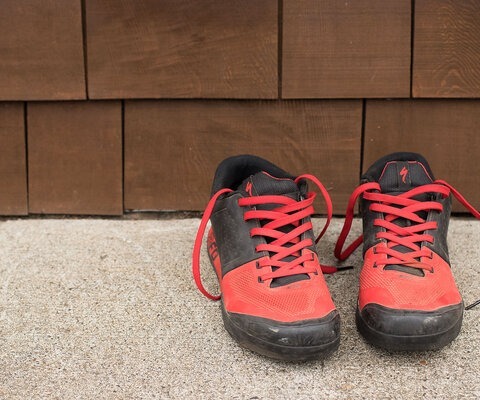 Our tired muscles are thoroughly eclipsed by the collective stoke we’ve built along the way. When you dispel some of the myths—the bugs, the cold and the terse blue-collar localism—the north makes perfect sense as a riding destination. “It’s half the distance as Moab [from Vancouver],” Lucas says. By those numbers, the friction of distance is only a mental hurdle. DB is convinced more than almost all of us, to the point of announcing he plans to do some instructor and guide training in Burns Lake to help grow the scene. Back around the fire later that night, the power drill finally accomplishes its mission and the pig is ready to serve. More than 100 people, mostly young and many with families, are soon gleefully socializing with greasy plates in their hands and bikes by their sides. It’s a snapshot of Lucas’ vision and the sport’s potential saving power in an area long defined by boom and bust, both economically and culturally. Who knows—maybe I’m seeing the start of a movement that will change the north. Or maybe it’s just another bubble, doomed to burst. But whatever happens, if not for Boer Mountain, Burns Lake may have ended with the sawmill explosion. But instead, what could have been an empty field next to a ghost town is a vibrant gathering of a very passionate community—a community that knows how to build trails and throw one hell of a party.